My 1967 TDH-5303 made it to it's new home on Saturday. It will be saved and is insured and licensed now as an Antique vehicle. I will be working towards getting it ready for show and shines. Here is our load of pictures from playing with it in Calgary to getting it to it's storage in Edmonton. History: Calgary Transit #615 till about 1982 or so. Perimiter Transportation - Vancouver - #655 (Charter Service) Red Arrow - Spruce Meadows Shuttle - #665 (Shuttle Service) Out of service as of April 2011. Purchased by myself March 2016 and moved to new home on April 2, 2016. This is my baby now and she is amazing drive. Reached 85km/h continuously on the highway. I had an active Edmonton Transit operator with extensive historic fleet practice driving it home along with others trying it out in Calgary. 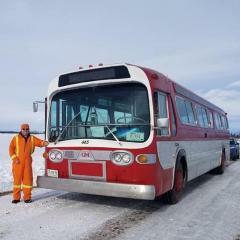 Pictures of it's trip from Calgary to Edmonton are at: https://www.facebook.com/media/set/?set=a.10154072073881703&type=1&l=94d14da7ce	You don't have to be a facebook member to view. That might be a possibility! Wow. You got me to log on for the first time in years! thanks to someone messaging me this. I'm messaging you. Greyhound Station in Downtown Edmonton will be gone! So it was announced today at City Council that Darryl Katz has bought the lands where the Greyhound station is and it will be demolished for the arena in the near future! 5 car SD-160 at 7:14 this morning northbound at Belvedere. 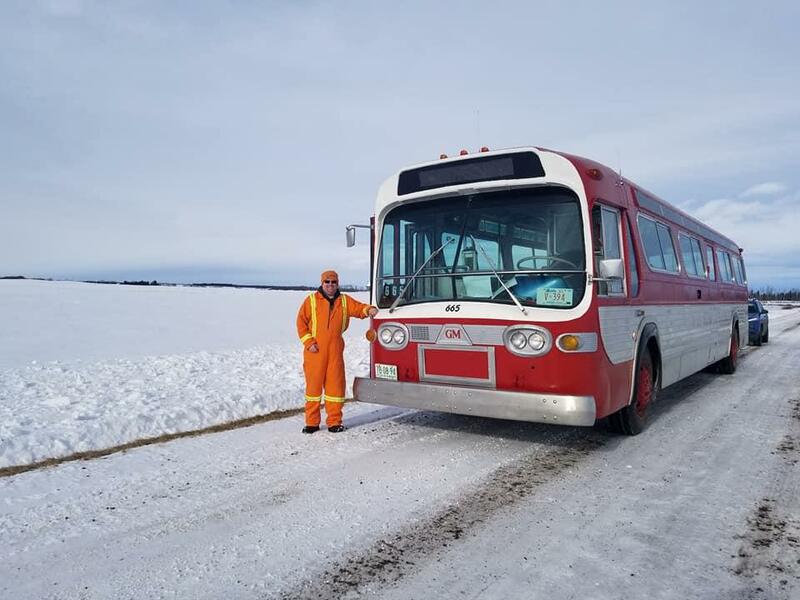 Today, Due to snow, St. Albert Transit officially suspended all in-city service for over 3 hours due to residential roads so bad from the snow. commuter service to/fro edmonton was kept running but very slow. I have a couple photo's. one of the workers with the jacks ready and one of the rail car with the SD being pulled down the track to be unloaded but they are on my phone and i have to head out. Just coincidentally after this update of no new cars. 1075 is sitting out on the bridge under blue wrap at coliseum. Since there is not much postings in edmonton, ill post here. I noticed today at Central that they have extended the loading area of the one side platform farther back past the one wall. exit only spot and very tight as well as a 5 car markers have gone up. 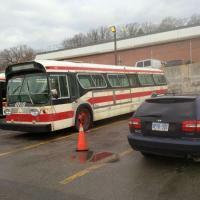 ETS is preparing to setup for 5 car trains it looks like.